BT and the Norfolk County Council (NCC) have today signed a new £41 million contract, which will see a mix of public and private money being used to help make superfast broadband (25Mbps+) ISP services reach “more than” 80% of local homes and businesses by autumn 2015 (i.e. below the UK’s national target of at least 90%). The Better Broadband for Norfolk project states that those living outside of their 80% target should still receive “significantly higher” speeds than the minimum standard of 2Mbps. It predicts that some 20% of these premises will be able to receive speeds ranging from 5Mbps and 23Mbps, while 49% are expected to be able to access between 50 to 100Mbps and a further 6% should be able to receive in excess of 100Mbps. It’s estimated that around 57% of the county’s premises would not have been able to access a superfast service without the use of state aid. 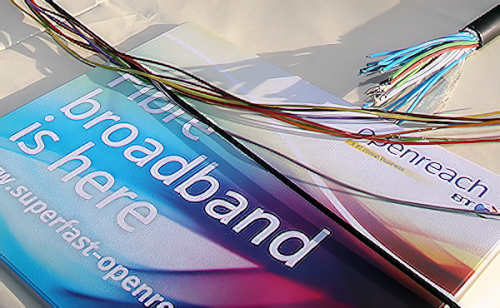 The government’s Broadband Delivery UK (BDUK) office has already allocated £15,440,000 to help the region, which will be matched by another £15m from the local authority and then a further £11m from BT itself. “This project will move Norfolk well and truly into the broadband fast lane with fibre being rolled out to the majority of the county. With the internet central to virtually every aspect of modern life, Norfolk’s lack of good broadband access has been a key concern to both businesses and residents alike. As usual BT’s local roll-out will be dominated by the deployment of its up to 80Mbps capable Fibre-to-the-Cabinet (FTTC) and 330Mbps Fibre-to-the-Premises (FTTP) based technologies. The money will go towards improving services to 270,000 Norfolk premises, which are said to be in need of state aid. This includes around 44,000 houses that are considered to be in broadband “not spots” (i.e. where there is either no access to a broadband service or only very slow and unreliable connectivity). BTOpenreach will now begin to survey locations around the county and the first new services are then due to be available by the end of 2013, with other exchange areas set to be upgraded in phases over the following two years and the project set for completion by autumn 2015. Well its been a long time coming but now the contract is signed real work can begin. Lets hope BT can cope with all the work these contracts bring. Here in rural Norfolk this should make the world of difference with current speed in my village anything from 0.5mbps-3mbps.